Original and traditional Celtic vocal and acoustic music in the Irish and Scottish styles. Our haunting airs, toe-tapping jigs and reels, moving ballads and rousing pub songs are at the heart of the Celtic Tradition. Sally's Garden is an innovative Celtic fusion duo from San Antonio, Texas performing original compositions and traditional Irish, Scottish and Breton songs and tunes. We combine elements of Celtic, Folk, Bluegrass, and New Age to produce a unique sound featuring fiddle, guitar and vocal harmonies. John Wiesen is vocalist, guitarist and songwriter for Sally's Garden. His powerful lead vocals and guitar drive classic songs like Whiskey in the Jar and Finnigans Wake. His solid backing guitar rhythms keep the group's jigs and reels flying. Finger style guitar on airs and ballads are another strength John brings to the group's music. John has written over 40 original tunes. Sally Wiesen is fiddler, vocalist, and songwriter for Sally's Garden. Her gorgeous soprano floats above John's tenor to create amazing harmonies. Her skillful and expressive fiddle playing ranges from soulful airs to jigs and reels bursting with energy. I love Celtic music and this is amazing! You should see them in person, and I know that every time I have it has been a special experience. The way that John gets into his music (and swings that guitar around) is truly a sight to see. Sally's fiddle playing is amazing and when she gets into an energetic song you are on the edge of your seat waiting for the fiddle to catch fire. 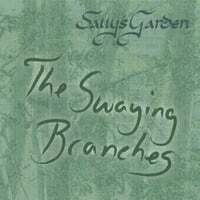 I love Sally's Garden and can't wait for their next CD! Wow. These guy's are great. John is great on the guitar and Sally's fiddle is amazing. I've had the opportunity to meet them, and they are as wonderful as their music is. If you like this style of music (and if you're here looking at this you probably do) then buy this album. I look forward to their next cd. Thanks for the great music guys. Keep up the good work.